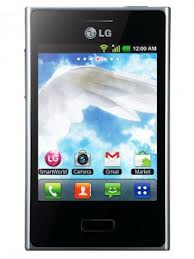 The LG Optimus L3 is an affordable smartphone that does everything that is needed for a very low price. It is physically smaller than the average, which is no bad thing as it still fits in a pocket easily. It falls down on camera quality, but it is not alone amongst smartphones for that so it is still a phone worth considering. Utilising Android 2.3 Gingerbread it has access to a huge number of apps, and comes with all the ones that you will need for typical applications such as navigation and youtube. As with all modern phones the battery life is directly affected by how many services you have switched on at once. I did have Twitter and emails updating continually, as well as wifi, bluetooth and GPs on all the time – and the phone was draining in a day. Now I have switched all these services off and just use them when needed. The battery now lasts much longer. It is easy enough to flick on GPS or bluetooth when needed, so it has not been an issue. I have also found it easy to use as a portable wifi hotspot, allowing two laptops to get online simultaneously. This is a great feature that really made the phone a winner. Android is a great operating system with a great app infrastructure and the ability to change batteries and memory cards at will.